Tuskbond launched our new range of Woodwork and Joinery Adhesives at the W18 Exhibition earlier this month. The W Exhibition is the national show for the Joinery and Furniture industries, showcasing the latest products and developments. 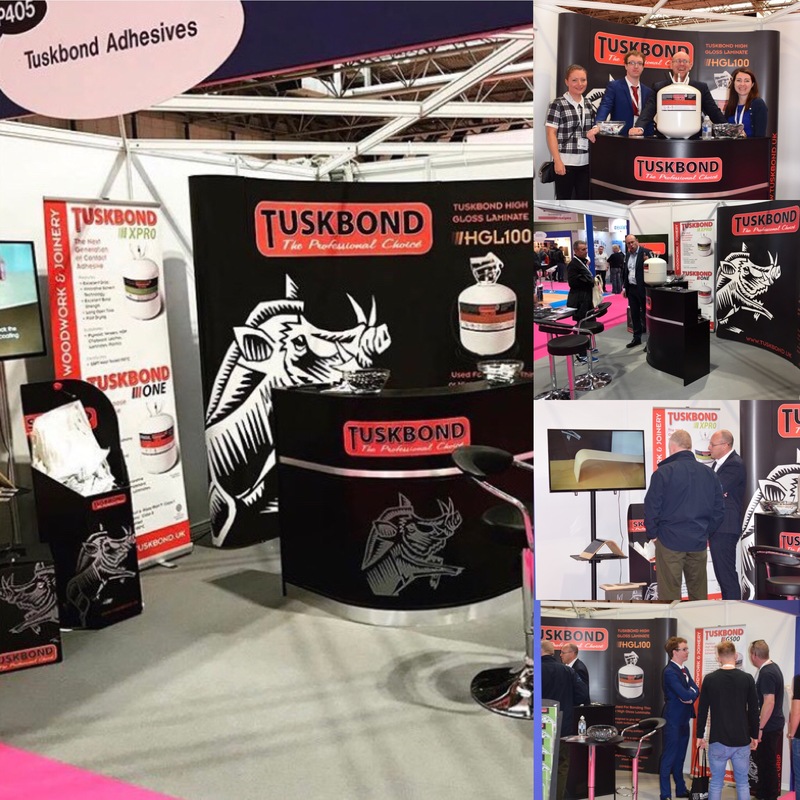 The exhibition allowed us to further extend our knowledge within the industry and was a huge success for Tuskbond, allowing us to showcase our full collection of adhesives in the Woodwork and Joinery range. Most interest at the show came from our newest additions to the product range; ‘Tuskbond HGL100’ and ‘Tuskbond XPR0’. Tuskbond HGL100 is our mist/pebble spray adhesive and the choice when bonding high gloss decorative laminates, specifically designed to give a perfect pebble spray pattern. Tuskbond XPR0 is our next generation of contact adhesive that uses the latest solvent technology for minimal toxicity, meaning low hazard to human health. Tuskbond will continue to put our customers’ needs in mind with full technical control in the development of innovative products, accompanied by excellent service.